I Mooched this book a few years ago. It's the next in the Mary Russell and Sherlock Holmes series that I've been making my way through for the last few months. And it was a doozy. In this installment, Holmes and Russell are asked to investigate the disappearance of a British border spy in India named Kimball O'Hara - the basis for Kipling's novel Kim. O'Hara hasn't been heard from in quite some time, which is not unusual for a spy in the wilds of India, but some other events have come about which have given the British government (and hence Mycroft) pause. Holmes and Russell head off to British-occupied India to see if they can uncover a trace of O'Hara's whereabouts. On the way, they meet some interesting Americans, who might also be Communist spies. Once in India, Holmes and Russell split up, with Russell visiting a maharaja in a northern Indian state, trying to pick up some word of Kimball O'Hara. But the maharaja seems a bit...unbalanced. Will Russell escape with her life? Will the two find Kimball O'Hara? What is the maharaja up to, anyway? I really enjoyed this one. I've been craving some fiction set during the British colonial period in India. For some reason, I find this particular time and place in history extremely romantic (think A Little Princess). This story takes place a bit late in the colonial period (1924 - India achieved independence in 1947, I believe), but it still had that flavor that I was looking for. As usual, Russell and Holmes get into and out of some sticky situations, are chased by bad guys, and get their man in the end. Five out of five Whatevers. Love this series! I've spent years compiling a reading list composed of all kinds of things: classics that I feel I should read because they're classics; more intellectual, literary reads; all kinds of books recommended by magazines, other bloggers, websites, etc. But when it comes down to it, those more serious or intellectual or literary reads don't really do it for me. I like the junk food, the quick, light reads that don't take too much brain power: cozy mysteries, romances, lighter YA. Sure, sometimes I like my mysteries on the more challenging side (like the Mary Russell series by Laurie King), and I do like reading classics, too, and, yes, sometimes I'm even in the mood for a more serious work of modern LITERATURE. But for pure escapist, enjoyable reading? Give me a potboiler every time. And that's why I love Heather Webber's Lucy Valentine series. It's not what you would call intellectually challenging, but it is a hell of a lot of fun. I'm on my second book in the series, and it was much like the first: a little bit of romance, a little bit of cozy mystery, a little bit of the supernatural, and a really fast read for me. I read this second book in a day, much like the first one. That NEVER happens for me. 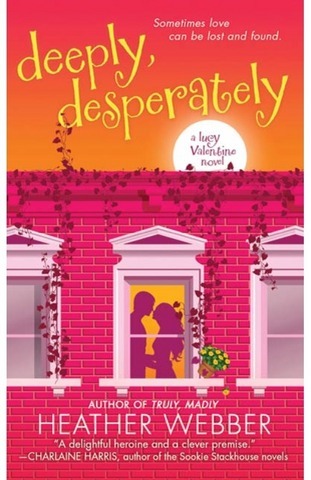 In this book, Lucy Valentine, a woman with a gift for finding lost objects which she has parlayed into a job reuniting lost loves for her family's matchmaking business, is settling into her slot in the family business. Her relationship with Sean Donahue is progressing slowly, but that's Lucy's fault. She's worried that the family love curse will destroy any relationship with Sean that she is able to build. But she wants to move faster. Meanwhile, she and best friend Marisol are trying to figure out if their other best friend, Em, has a cheating fiance', Lucy is tracking the whereabouts of a long lost love for a work assignment, and tracking a missing mother of two in order to help out the police. It's another fast-moving episode in the life of Lucy Valentine and I couldn't read it fast enough. Five out of five Whatevers for what it is: an easy read that is hard to put down. Recommended for folks who enjoyed the first novel, fans of cozy mysteries, and romance with a tinge of the supernatural. This isn't a novel that will win any literary awards, but it took my mind off of life and made me happy for a day, and that's really all I ask out of my reading choices. I Mooched this copy of the book, several years ago. It's the third in the Earth's Children series. And it was another winner. 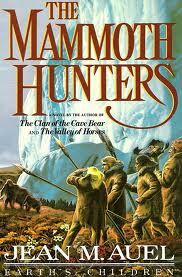 In this installment, Ayla and Jondalar travel the land searching for the Others, specifcally the Mamutoi, or Mammoth Hunters. They eventually come upon an encampment, the Lion Camp. The Others live in an earthlodge, which helps them weather the harsh winters, close to the glacier. Eventually, the Mamutoi decide to adopt Ayla. Jondalar refuses to be adopted, but remains in the earthlodge to be close to Ayla. There, Ayla meets a dark man, Ranec, and is forced to choose between him and Jondalar. Whom will she choose? Will Jondalar stay with the Mamutoi, or return to his family? Will Ayla charm her way into the hearts of all the Mamutoi, or will the Others force her out? This was another stellar episode of Ayla's saga. I couldn't put the book down, reading it at every opportunity. I spent much of the July 4th holiday with my nose buried in the book, and I finally got a chance to finish it last night. Four and a half out of five Whatevers. The historic details are so interesting, and it seems like Auel has really done a lot of research. Recommended for those who like historic fiction, as well as for those who are already in the midst of the series (like myself).